People like us don’t write! The Age features the play The Moors, which opens today in Sydney. When playwright Jen Silverman was grappling with a period of loss in 2015, she turned to the letters of Charlotte Brontë for comfort. It was the emotional terrain they evoked that gave shape to her acclaimed play The Moors. "[The Brontës] were so contemporary yet they were so isolated and the letters that Charlotte Brontë had written about her family are so amazing, they are almost a myth of a myth," explains Silverman over the phone from New York. Author Maryse Condé writes for The New York Review of Books. A Comicosity contributor writes about writing for Comicosity. Evening Standard recommends a visit to the National Portrait Gallery. The Telegraph and Argus reports that new Visitor and Discover Guides have been printed. 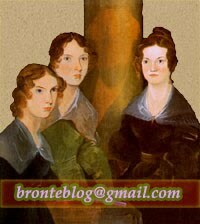 Book Talkies posts about Jane Eyre.